Access to History: The USA & the Cold War 1945-63 [Second Edition] (English Edition) bei ZUM KAUFEN Online kaufen. This second edition has been updated to take account of recent historical research into the period, including up-to-date interpretations relating to the Cuban Missile Crisis. 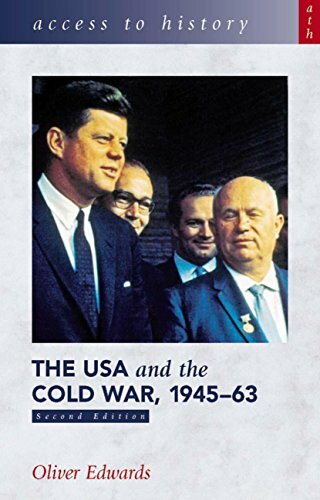 The major issues surrounding the origins of the Cold War and its subsequent escalation into a global power struggle between the United States and the Soviet Union, are examined through an accessible narrative and comprehensive selection of sources. The author also provides an analysis of the extent to which the Cold War had an impact on America's political institutions and society. The revised study guides provide a firm basis for answering differentiated source-based and extended writing questions.